Now you can guarantee a connection to almost any faucet for clean water supply. 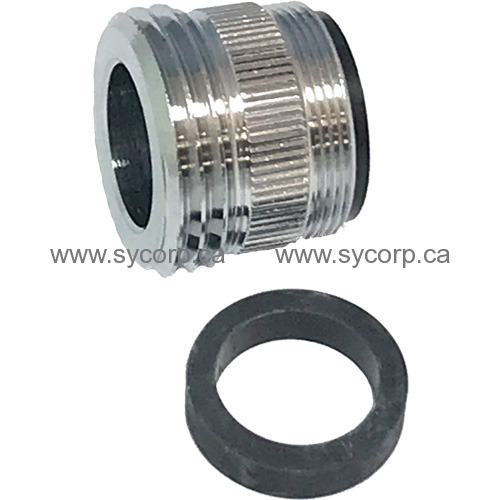 This simple, small adapter will fit 90% of existing indoor faucets so that a garden hose will connect. This adapter is a must when you cannot locate outside water or when outside water has been turned off.